For our first ever What to Wear Wednesday, I dove into my closet and found some of my favorite items for the winter. Adizero Waterproof Golf Shoes: I wore these in Atlanta during all of the rain, and my feet were dry the entire time! Bonus, they are on sale right now! Click Here to Purchase on Amazon! Callaway Golf Dawn Patrol Women’s Golf Glove: All leather, great control and stylish! Click Here to Purchase on Amazon! JoFit Lifestyle Jumper in Florescent Pink: I love the side zipper and thumb holes! 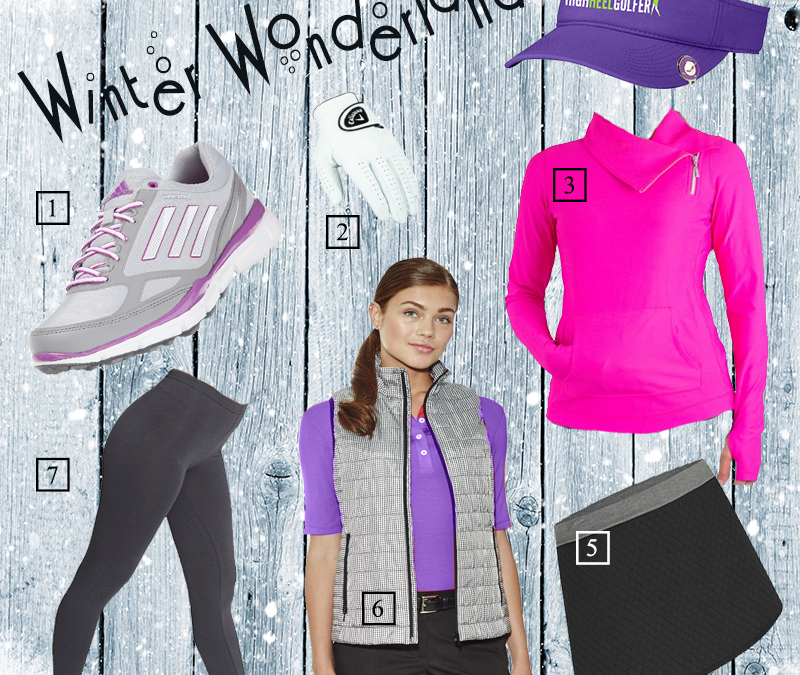 Click Here to Purchase on Golf4her.com and Members get 15% Off their first Order and $20 Off $100 Always! CLICK HERE to become a Member! 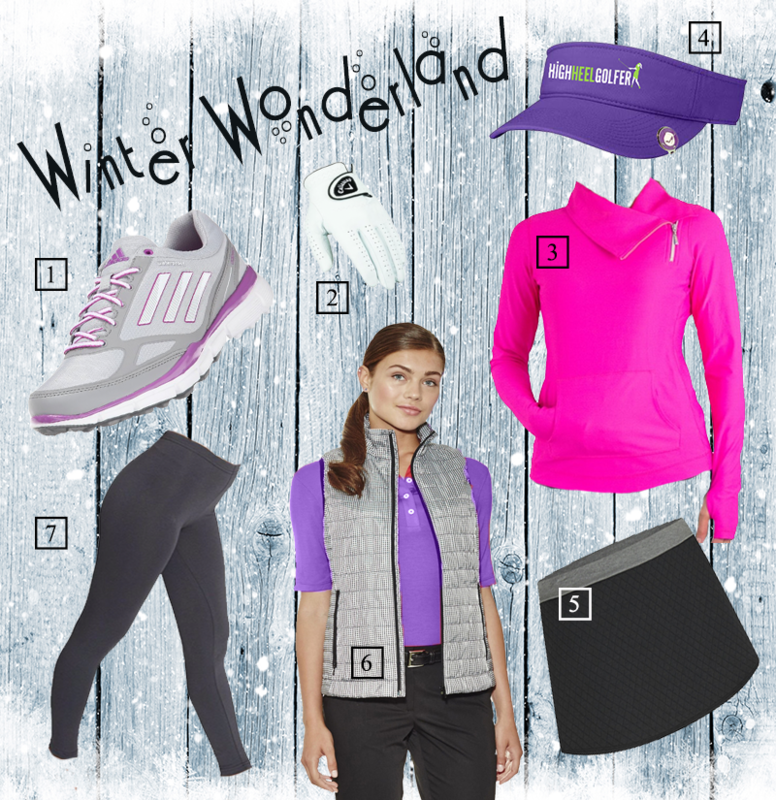 High Heel Golfer Purple Visor: This is a staple for your wardrobe in San Diego. CLICK HERE to get one for becoming an SCGA Member. Spandex: This one you can just grab from your closet. Nowadays spandex is a staple in a woman’s wardrobe. I tend to pull mine out when I feel like wearing my super short skorts that I can’t wear in the summer!